VINTAGE VALENINTE BLURB: After ten years away, Hailey returns home with her ten-year-old daughter. Hailey is happy to help celebrate her grandparent’s golden wedding anniversary at their beloved hotel, the Elmheart Hotel. But, when Hailey finds former, high school boyfriend, Patrick, working as the hotel’s chef, she will have to find a way to tell Patrick the secret she has kept from him. 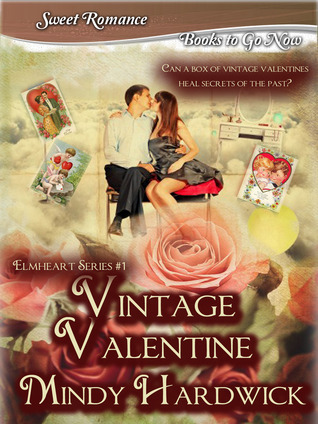 VINTAGE VALENTINE takes place in a hotel called The Elmheart Hotel on Lake Ontario in New York State. The hotel was the last stop on a trolley line that ran from Rochester, New York to Manitou Beach. It was built in the early 1890’s by Fredrick Odenbach. In 1903, the hotel was sold to Michael Olaughlin and George Weidman. A room fire in 1931 forced George to stop renting rooms to guests. However, during the depression, George built a dance hall next to the hotel. Big bands played in the dance hall and the hotel was kept open only as a bar on evenings and weekends. Those dance halls inspired the third and final book in my series entitled, NEW YEAR HEART SONG. After George’s death in 1986, there was talk of building a restaurant and restoring the hotel. But, due to a lack of sewer systems, the plans never moved forward. In college, I fell in love with the Elmheart Hotel. I held romantic dreams of how the hotel could be restored. However, the hotel burned in 1992 and my dream never materialized. I hope this sweet, contemporary romance series based at the Elmheart Hotel gives it a happily-ever-after. 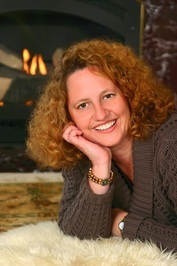 Author Bio: Mindy Hardwick enjoys writing first love and sweet, contemporary romance for all ages and is known for her small-town, artistic community stories. When she’s not writing, Mindy can be found art journaling, visiting flea markets dreaming of new ways to repurpose old materials, and walking on the Oregon Coast beaches with her dog, Stormy. 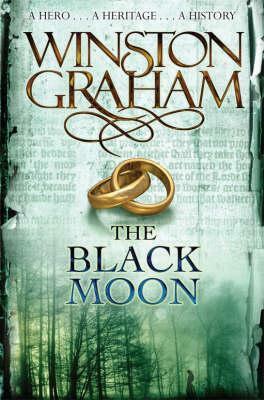 Mindy believes that a great story can warm the heart, lift the spirit, and heal the soul.